There's no better feeling than helping to get a very worthy dog adopted. None. 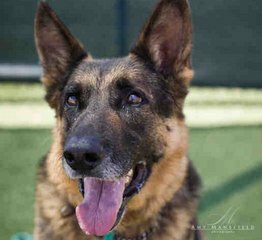 Unfortunately senior dogs take a lot longer to get adopted than most, some waiting a year or more to find the person who will make the commitment to love them forever. Sadly many die in shelters and more than a few live out their days in foster homes, the latter being no different than their forever home for the dog (and foster) in many cases. In honor of all of you who adopt and foster older dogs I wanted to highlight some of the longest tenured pooches up on the SeniorPooch Adoptions page. Shelby (she's the little one with the giant smile), has been adoptable for going on two years now and is available from our friends at ARRF, down in San Diego, California. Several months back I was at one of their events where she was and I can tell you she was just as spunky as I would have expected. 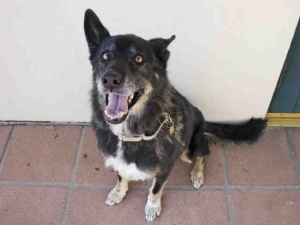 Happily she has a great foster family, but she'd make a great dog for any family. Shelby's foster mom decided she'd rather stay with her forever. 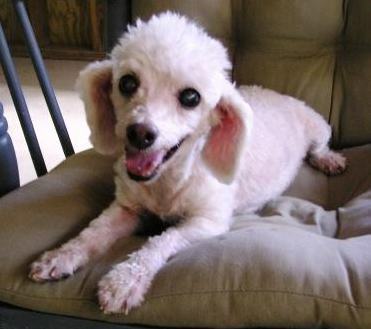 The "Lunch Lady", Lavergne, is an older senior poodle who's in Lake Charles, LA. She's had a rough life, but the folks who rescued her couldn't have done better by this girl. She has cataracts, but per her ad on Petfinder she still has the where with all to "to find an empty lap or anything else she wants". Snooki was rescued from a shelter in New Jersey, by the kind folks of Rescue Ridge after being found as a stray. She's been a long time foster who has touched everyone that has met her. 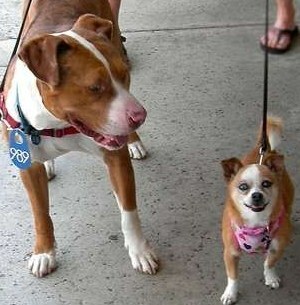 If you cannot adopt or foster Snooki, a great alternative is also donating to her cause. Rescues take on dogs like Snooki every year with the hopes of getting them adopted soon and would never think of returning her to the shelter. This can put financial challenges which you can help lessen. Check out her Petfinder Ad for more information. Shelbie (yep, there's another, only this one is a bit larger) is an awesome girl who live in San Jose, CA with her foster family. She's always ready with a smile or for a walk. Our friend Melissa from San Jose Animal Advocates brought this girl to our attention. 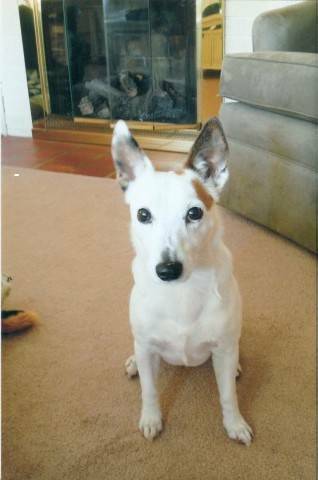 Juno was the first senior pooch who called out to us from the SeniorPooch Facebook page. 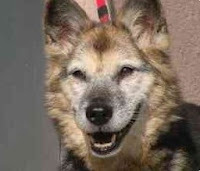 About a year ago, both of her primary caregivers passed away and she's been looking for a home ever since. Like a lot of senior dogs, she's house-trained, knows how to live with people, and has a sweet gentle demeanor. The full stories of each of these dogs are on the SeniorPooch Adoptions page. If you're interested, I'd recommend you make the call to look into these gems further. You might be surprised at how much pep these pups still have. If you have a senior dog that you're looking to rescue, feel free to contact me and I'll help by getting them posted and reaching out to my network of rescue friends who might be able to help or offer advice.